This is a time of year when we may be looking back over a season of preservation events when we have met with friends old and new who share a common interest in the preservation of historic vehicles and machinery. 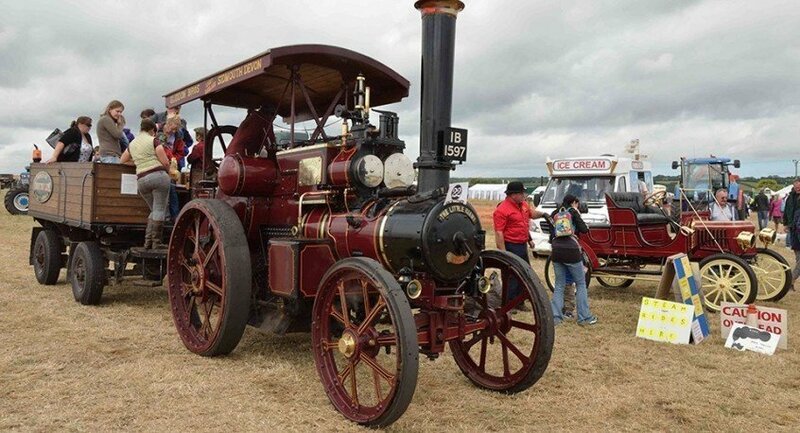 We hope that you have had an enjoyable and trouble free year and that you are looking forward to 2019, and that you have already added the 2019 Somerset Steam and Country Show to your calendar. We are always pleased to invite new exhibits, so please encourage owners of exhibits who have not attended before to get in touch with the relevant section steward. The event is organised by a very small group of volunteers, but we are committed to putting on the best possible event for our visitors and exhibitors. We believe that these days it seems the public expect to be informed, educated and above all, entertained. Therefore we hope to continue to improve the way that we display our excellent range of exhibits, particularly in the main arena. All of this needs new ideas – and more stewarding! We rely heavily on the assistance of our friends from the Carnival Clubs, but we do hope that all exhibitors will get involved, particularly with stewarding of their own sections. Also if you have any ideas which you feel would improve the way in which your exhibit is displayed, please speak to your section steward as soon as possible. Quite apart from all this, we continue to really need the assistance of Club members before, during and after the show. We greatly appreciate all the help which we have had in the past, but we could really do with more! We look forward to seeing you at the New Years Day Road Run. With best wishes for a Very Happy Christmas and New Year.